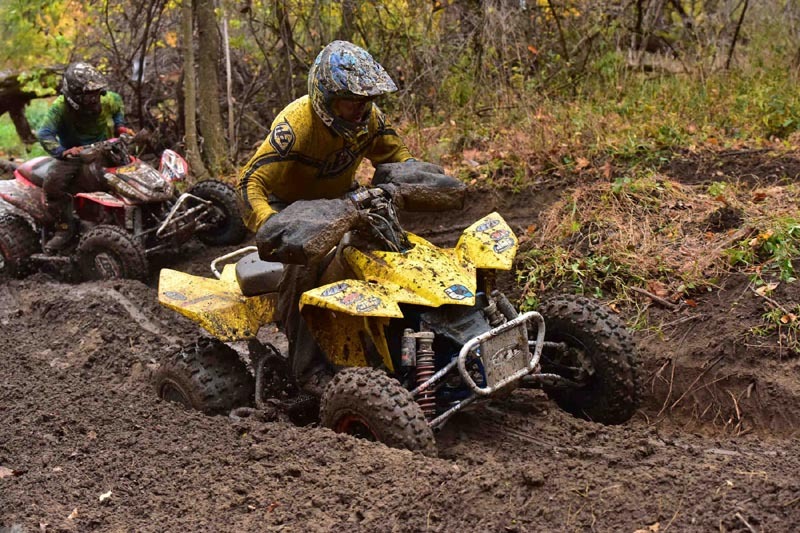 Ontario, California, Nov. 5, 2015 -ITP ATV and side-by-side vehicle racers concluded the 2015 AMSOIL Grand National Cross Country (GNCC) season with impressive finishes at the series finale in Indiana. ITP racers won six classes and notched 11 podiums, some of which help secure season championships. season with a perfect 13-for-13 victory streak using ITP tires. 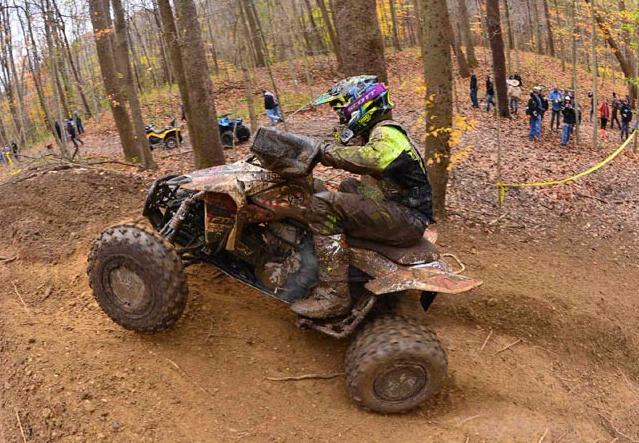 The AMSOIL GNCC series finished its 13-round tour at the highly popular Ironman outside of Crawfordsville, Ind. Known for its high-speed farm field runs, hills, mud holes and creeks, the course is one of the most friendly for spectators. It’s also enjoyable because it’s often the deciding round in the pursuit of a prestigious GNCC championship. Whether it’s going for an unbeaten season, a successful defense of a title or a first career title, the GNCC season usually rides on Ironman performances. Longtime GNCC competitor and Team ITP racer Dave Simmons capped his amazing season by winning his class at Ironman, making him a perfect 13-for-13 this season aboard his Yamaha. Not many racers have been able to etch their name in the GNCC history books, but Simmons is now one of the few to accomplish this feat. 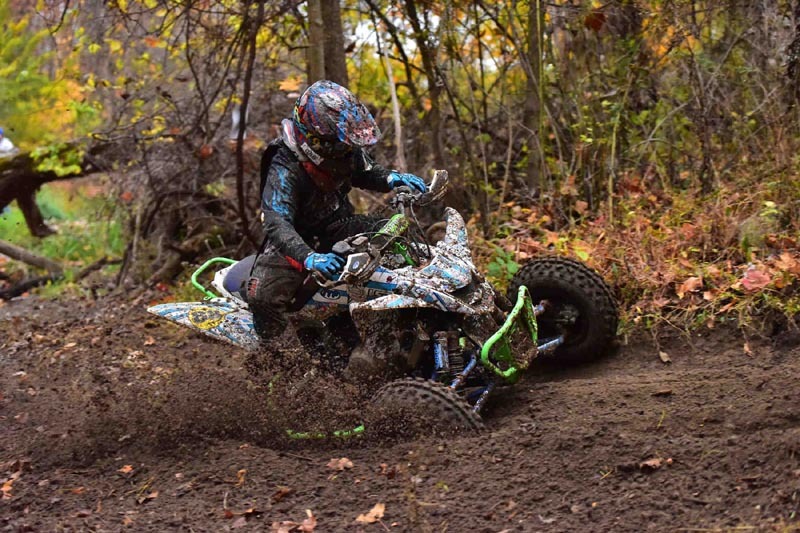 Suzuki racer Westley Wolfe, who had previously wrapped up the College A (16-21) title the previous round, won the XC2 Pro-Am class in his first entry in the class. The victory was Wolfe’s ninth of the year and his 11th-place, all-around run equalled his best afternoon overall finish of the season. In fact, he was the official race leader on every lap of the four-lap race and won by more than two minutes. With the GNCC title and two additional ATV MX championships, Wolfe had to make more room in his trophy case and he looks ready to make room for another one come 2016. Tim Farr has now won the XC1 SxS class at the Ironman finale for three straight years. His victory this year pushed him into third overall in the class standings. 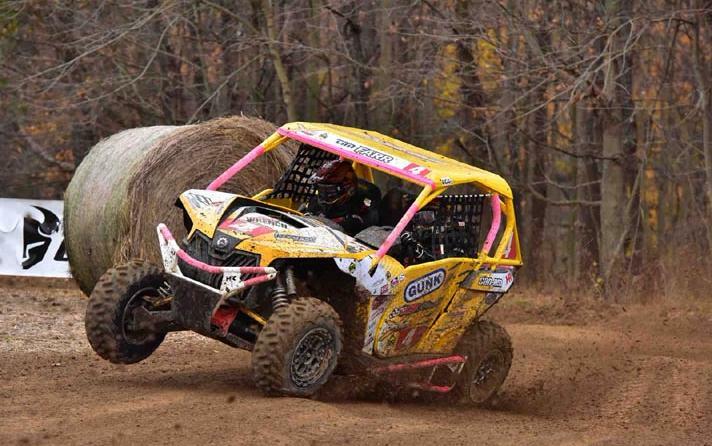 Can-Am / JB Racing / Liquid Wrench / Houser Racing / ITP driver Tim Farr put on quite a show in Indiana, overcoming serious challenges and recovering from an early run-in with a tree to record his second straight XC1 Pro SxS class win in a row. Despite trading the lead several times over the first four laps, Farr held the lead going into lap five. 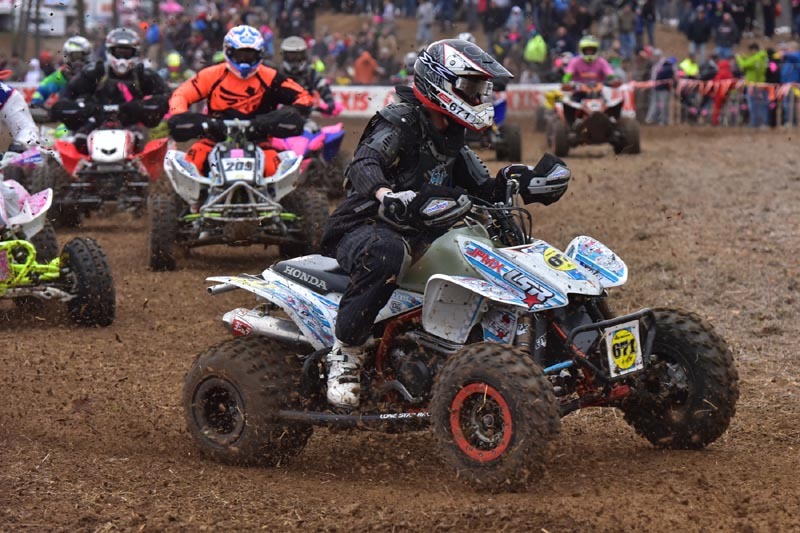 After dropping back one spot, the experienced racer and multi-time Pro ATV champion used his elite driving skills to make a last-lap pass. He ended up winning by roughly two seconds. Hendershot Jr. He finished fifth in Indiana and second overall on the year. The victory put the Ohio native on the XC1 Pro SxS season podium in third, despite two uncharacteristic finishes at the first two rounds this season. Farr put the hammer down at round three and never let up, reaching the podium at all four rounds and winning rounds five and six using ITP TerraCross tires on his Maverick SxS. Farr has now won the XC1 Pro class at Ironman for three consecutive seasons. “Great end to the season with a win at the Ironman GNCC. It was a fun battle to the checkers. Thanks JB and Dave for all your hard work,” said Farr on his Facebook page. Mark Batson rode the No. 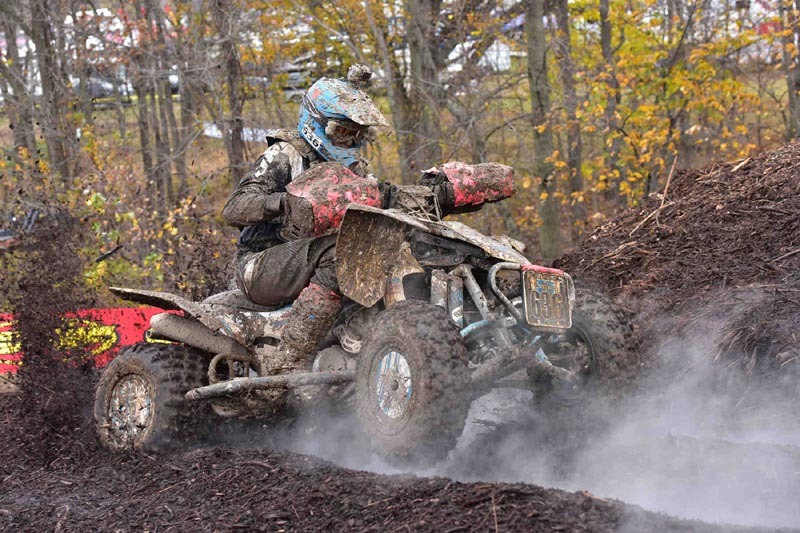 636, shod with ITP tires, to the Senior A/B (38+) GNCC championship. Farr’s teammate Larry Hendershot Jr. finished fifth at Ironman. His steady season, which included two podiums, helped the Ohio racer secure the No. 2 spot in the XC1 Pro SxS year-end standings and improve four spots over 2014. 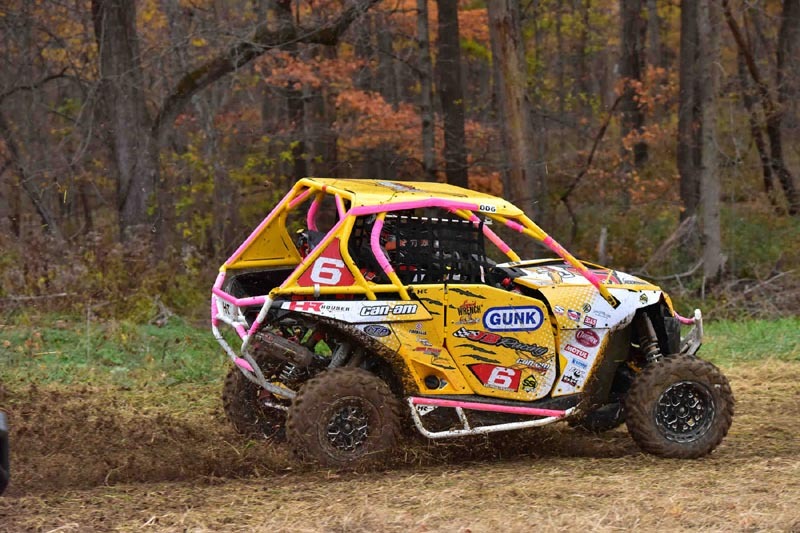 Another ITP pilot, Jack’s Excavating / Can-Am racer Mouse Pratt ended his 2015 season with a third-place XC1 Pro class finish. He ended up fourth overall in the class standings. Teammate Marcus Pratt ended up eighth overall on the season. to take home the 2015 GNCC 125 Sr. (13-15) class championship for Team ITP. Three other racers ended up with class championships after their podium finishes in Indiana. In the Senior A/B (38+) class, Media All-Stars / Suzuki rider Mark Batson took second, but his solid finish gave him the edge over the competition. Batson recorded six wins this year using ITP tires. Youth session competitor and son of popular ITP race rep Stan “Big Daddy” Digby, Jordan Digby controlled his own destiny in the 125 Sr. (12-15) class. With seven wins coming into the finale, Digby just needed to place first or second to ensure his championship. The young racer took second at Ironman, but won the title via tiebreaker, because he had the most class victories on the year. Apex / ITP racer Ayden Konkler also scored a GNCC youth championship this year, posting eight wins in the 90 (8-12) class. Several other ITP racers had already captured their 2015 class championships, so many of them moved to a different class. That group included GNCC WXC Champion Angel Knox, who chose to race in the Junior A (22+) class and, after grabbing the class holeshot, took seventh. College B (16-21) class champion Blake Meyer, who had two wins and eight podiums this year, moved to the Pro-Am ranks at round 13. Damien Hawkins, the 2015 GNCC 90 Limited 8-12 class champion, earned a top-five finish in the 125 Jr. (8-11) class. and taking second overall in the Masters (50+) class. Runner-up finishers for Team ITP were: Hendershot Jr., Kenny Rich Sr. (Masters 50+), Steven Covert (Junior A 22+), Greg Covert (College A 16-21), Marti Lantz (Girls 8-15), Tanner Talbott (Schoolboy Jr. 13-15), Parker Henderson (90 8-12) and Brayden Shick (College B 16-21). Third-place finishers on the season end were: Farr, Curtis Johnson (125 Sr. 12-15), Keaton Henderson (125 Jr. 8-11) and Cameron Abee (Schoolboy Jr. 13-15). 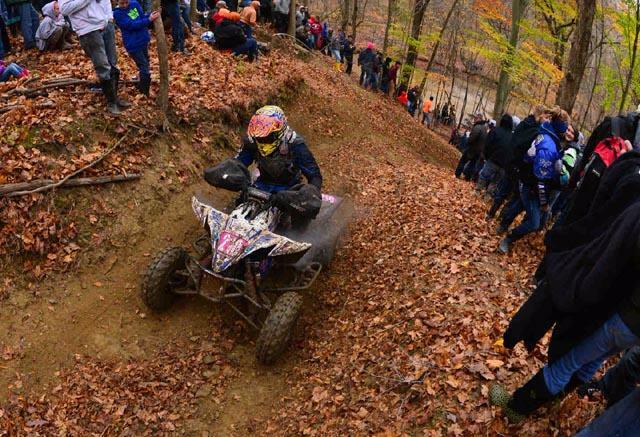 The ITP ATV and SxS GNCC racing team will gather one final time in 2015 at the GNCC post-season banquet, to be held Friday, Dec. 18, at Morgantown Events Center at Waterfront Place in Morgantown, W.Va.
winning the Vet B (30+) class at the AMSOIL Ironman GNCC finale in Indiana.